It is 80 years now since Daphne du Maurier’s novel Rebecca was first released. Back in 1938, du Maurier’s publishers were nervous about the novel’s future, but the story has become a classic: a world-wide favourite, a play, a television series, even an iconic black and white movie. For a while, back in the 90s, new editions of du Maurier’s novels were hard to obtain, but with the recent film version of My Cousin Rachel she is very much back in the public eye. Which is as it should be, because Daphne du Maurier was a very accomplished novelist. Despite her success, du Maurier would probably make a modern publisher nervous, too. She did not, or would not, stick to one genre. Worse: she wrote books that were the antithesis of best sellers. The Glass-blowers (a fictionalised version of her French family history) was written in direct opposition to the hugely popular Scarlet Pimpernel and Dickens’ A Tale of Two Cities. In this novel it is the skilled artisan not the aristocrat who takes centre stage: the novel tells not of heroes but of ordinary people striving to survive and make a future for their children during the French Revolution. And this, I think, is why many new readers are being drawn to du Maurier’s fiction. Despite Hollywood casting’s best efforts to the contrary, her protagonists are real people. They are ordinary men and women confused by events, over-awed by more glamourous or charismatic people around them, caught up in situations beyond their control. They may triumph in the end, but it is never a certain or perfect ending. We may not be like the timid heroine of Rebecca or Rachel’s doubting, bewitched young man, we aren’t the frightened girl in Jamaica Inn or the bored wife in Frenchman’s Creek, but we understand their worries and motivations. Hungry Hill includes extra-ordinary events, but what happens is grounded in normal family life. Reading the Glass-blowers recently, I was struck by this, and the simple wisdom in the story. Du Maurier understands the difficulties her characters face. Like real people (like us) they may present one facet of their personality to the world, but underneath, inside, they are much more complex. As was du Maurier herself. Many of du Maurier’s books address the past like this, they take on our concerns and confusions related to ‘what happened when’. Her writing examines what Laing calls the ‘oddities of time’. Regarding these ‘oddities of time’, I remember with absolute clarity reading the time-slip novel The House on the Strand during the course of a family Christmas day. The paperback transported me out of a modern household into an ancient house on a tidal reach, out of the 20th century into the 14th century. Listening to the story on the radio some months ago, I was taken back to those three time periods: that Christmas day and the two epochs in the novel. Some weeks later I picked up a battered hardback of My Cousin Rachel and remembered worrying about the laburnum seeds in our garden. I have now re-read most of du Maurier’s novels. On each occasion, opening the first page I have a clear vision of a place and/or moment in the story, and how it affected me the first time I read it. I remember reading the end of Frenchman’s Creek during the last lesson of a rainy Friday afternoon when I was about 16 – I remember feeling the tears on my cheeks. The teacher confiscated the book, naturally. I’ve read that story twice since then, and each time I’ve seen something new in it; I relate to something I hadn’t recognized before, but each time I have been taken back to that classroom. It is a curious experience. A good historical fiction author can take a reader back in time in the space of a paragraph, but I wonder how many can mark their readers for life like this. Was du Maurier aware that she had this skill, this gift to transport readers through time and into other lives? I don’t know. Accounts of her own life tell of a troubled woman at odds with her gender and circumstances; a woman trapped in a troubled marriage with a man who had a breakdown because he was having two extra-marital affairs simultaneously. 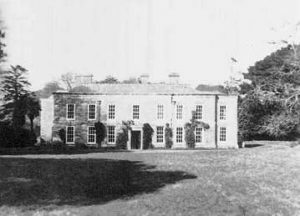 She is often linked to the house named Menabilly on the Cornish coast, where she apparently went to escape the real world. Big houses, full of private tragedies and secret histories, feature in many of her novels. Looking at photographs of Menabilly I wonder if that house stands as a metaphor for her fiction – as full of conflicting emotions, versions of the past and fantasies as the house on the strand. Such thoughts and ideas are only suggested, it is up to each reader to interpret them of course, and as in real life we interpret them according to our own way of thinking and personal experiences. Readers bring their own baggage to any book. Not all is what it seems in du Maurier’s novels, though, and they can’t be limited by a genre label. “Don’t look now,” we are told in that famous story about grieving parents in Venice, but if and when you do, you will find something disturbing, a theme that is both honest yet fantastical. 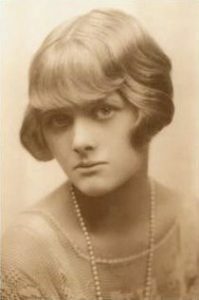 For me, du Maurier’s novels are like a haunted room full not of ghosts but of real lives from the past – and the present. 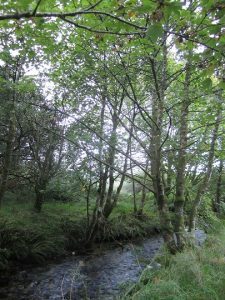 A Cornish backwater near Jamaica Inn.